"This Paris conference is a victory for our liberation struggle. 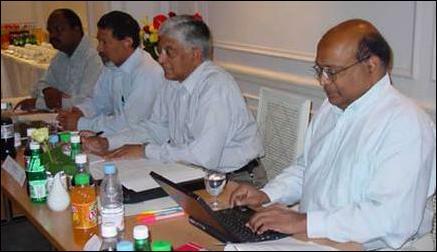 The GOSL proposal [for an Interim Administration for the Northeast] falls way short of the aspirations of Tamil people. This conference will define a response that reflects the just aspirations of our people," said Mr. S.P. 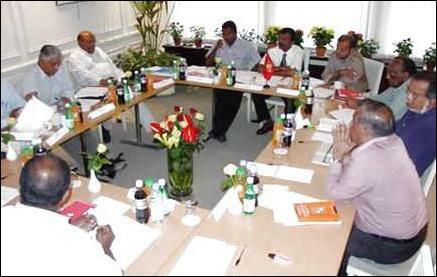 Thamilselvan, head of the political wing of the Liberation Tigers of Tamil Eelam, delivering the opening address at the LTTE's conference in Paris which began on the 23rd August. The conference was organized by the LTTE to prepare its response to the the Government of Sri Lanka's (GOSL's) proposal for an Interim Administration for the Northeast. In addition to Mr. Thamilselvan, legal experts and officials of the LTTE participating in the conference are: Former Sri Lankan Attorney General Mr. Siva Pasupathy, Professor Emmanuelpillai Paul Domenic, Professor of Law from Australia, legal expert Mr. Viswenthiran, Professor Ramasamy, Professor of Political Science from Malaysia, Professor Sornarajah, Professor of Law at the University of Singapore, LTTE's special commander for Amparai district, Col. Karuna, Legal advisor Mr. V. Rudrakumar, Dr. J. Maheswaran, Selvin Ireneuss, Director of the now-defunct Subcomittee on Immediate Humanitarian and Rehabilitation Needs (SIHRN), and Mr. Puleedevan, director of the LTTE peace secretariat.